Friends from Madrid, Rome, London, and Lisbon tell us how they celebrate the yuletide holidays. We'll also hear about small-town festivities in Holland, Austria, Northern Ireland, and Bulgaria. 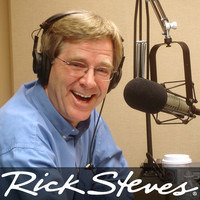 Rick Steves' "European Christmas" TV special airs on many public TV stations this time of year. You can also view it on our website. Slate magazine talks about the tradition of La Befana, the benevolent "Christmas Witch" in Italy. VisitLondon.com has a photo of this year's Christmas tree from Norway in Trafalgar Square. The Kashkaval Tourist blog describes some of the unusual Bulgarian customs and traditions for the Christmas season. Tour guide Federico Garcia Barroso is based in Madrid. The company Lyuba Boyanin founded, Lyuba Tours, continues to provide guided tours of Bulgaria. Stephen McPhilemy operates the Milltown House bed and breakfast on the Dingle Harbour in the Republic of Ireland, and Paddy's Palace Hostel in Derry, Northern Ireland. Gabi Koch spoke to us from her family-run Hotel Maximilian in Reutte, Austria. Jazz singer Spider Saloff provided us with a verse from the original lyrics to "Have Yourself A Merry Little Christmas, from her album "Cool Yule."